I have marvelouos news for Swarovski collectors and new owners of Swarovski crystal figurines…..the Warner’s Blue Ribbon Book on Swarovski Silver Crystal Swarovski book is now available! This Swarovski book is in its 20th year of publication. The book authors, Tom and Jane Warner, are serious Swarovski collectors and update / re-publish the set of Swarovski books each year. The Swarovski Silver Crystal book contains photos with detailed information about Swarovski SCS crystal figurines and the newly named Crystal Nature (formerly Silver Crystal) figurine releases (as well as product variations on them) for the past 35 years! That’s approximately 1500 Swarovski Crystal figurines in this book! Warner’s Blue Ribbon Book on Swarovski, 2013 Ed. Research for the 2013 Swarovski book was performed just 2 months ago in January 2013, so the computed Swarovski ERV values for the retired Swarovski figurines for the 2013 edition is definitely fresh. Some collectors feel that ‘values’ may be stagnant, and consider NOT purchasing books on a regular basis. However that is not necessarily the case when it comes to ‘insurance values’. No one wants to overpay for insurance, and no one wants to be under-compensated when there are tragic losses. Some collectors feel that trading values in the online auctions may be one possible way to determine a buying price if replacement Swarovski figurines need to be purchased, and that may be ok for some people who have very small collections (less than 50 figurines). But honestly…WHO has time and energy to research the statistics for a medium or large size collection (i.e. 300+ pieces). The Swarovski Experts have already done all that work for collectors, so it make the most sense to purchase the books and use their professional recommendations for insuring Swarovski crystal collections! Crystal Fanatics can get 2013 Swarovski Crystal Catalogue! I have outstanding news for Swarovski crystal collectors…..the 2013 Warner’s Blue Ribbon Book on Swarovski: Beyond Silver Crystal Swarovski catalogue is now available! This Swarovski catalogue is in its 17th year of publication. Tom and Jane Warner, the book authors, are dedicated Swarovski collectors and annually publish new Swarovski books. The Swarovski Beyond Silver Crystal catalogue contains Swarovski pictures and detailed information about Swarovski crystal figurines across many company product lines for the past 35+ years! Photos in the book, together with dimensions and other facts that allow for accurate Swarovski identification to most precisely insure a Swarovski collection. The Swarovski product lines or groupings include in the Beyond Silver Crystal book are: Swarovski Symbols (formerly Crystal Moments), Pendants and Brooches, Swarovski Ornaments, Swarovski Mother Nature (formerly Crystal Paradise), Swarovski Home Accesssories, Swarovski Contemporary Nature (formerly Soulmates), Swarovski Asian Symbols, Swarovski Hello Kitty, Daniel Swarovski Home Accessories, Daniel Swarovski Masterpieces, Swarovski Crystal Myriad, Swarovski CrystalograM, Swarovski Julia’s World, Swarovski Perfume, Swarovski Paperweights, Swarovski Trimlite, Swarovski Crystal Signatures, and more! There’s over 1700 Swarovski Crystal items in the Beyond Silver Crystal Book. Research for 2013 Swarovski ERV was performed in January 2013, so the determined Swarovski Value for the retired Swarovski figurines for the 2013 edition is based on recent data. Swarovski collectors who have never purchased the book can find contact information for the authors at the Warner’s Blue Ribbon Book website www.wbrb.com (on the About Us tab) to determine which book is best for the collector or if the collectors should purchase the complete book set. 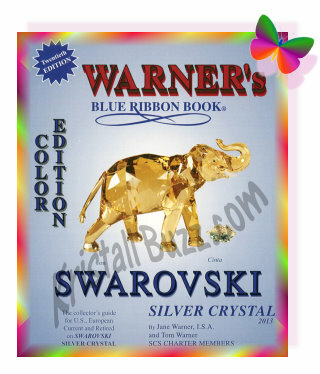 For Swarovski crystal fanatics that know exactly what they need, the Warner’s Blue Ribbon Book on Swarovski: Beyond Silver Crystal, can be placed at Warner’s website or www.crystalexchange.com/c-PUB.html. Swarovski Value ~ What is the Value of my Swarovski Crystal Collection? Most everyone who reads the Kristall Buzz blog knows that it is maintained by the Swarovski expert dealer Crystal Exchange America with occasional contributions by the well-known Swarovski book author Jane Warner. One of the most common questions that we hear is…..”I own Swarovski Crystal figurines x, y, and z; What is the value of my Swarovski collection?” Well, this is a huge question, and I am going to try to address the issue of Swarovski Value in this article. The simplest scenario is when the collector needs to know the Swarovski value to obtain adequate insurance. If this is the case, we recommend purchasing these Swarovski books from www.wbrb.com . The Swarovski ERV in the book is specifically determined for collectors to use for insurance purposes. However, collectors need to remember that the replacement cost fluctuates and that the concept of replacement value needs to be revisited annually. Providing an example….if a figurine is found at a reliable brokerage site at $500, it may have an ERV of $525 or $550. However, when most people inquire about value, they are asking what they can obtain by selling the Swarovski figurine. When selling, there are a couple of considerations. Are you urgent to sell (must sell now and must sell fast)? If you are in an urgent situation, you can typically expect the selling price to be less than if time is on your side. If you have just a couple of Swarovski figurines, this may not be of significant consequence. However if you have a substantial Swarovski crystal collection (ie 100 or more figurines, some of which are Swarovski AE or Swarovski NLE), liquidation prices can be quite painful to the pocketbook or personal expectations due to prior hypes on value, oftentimes only about 10% or 20% of the price you could purchase the figurines for at a Swarovski broker, like Crystal Exchange America. So, our last scenario is what Swarovski value via what can be obtained from a leisurely sale. To determine this, we first need to know actual current trading prices. One can view completed transactions on eBay as one source. When I say completed transactions, that may be a from a “Buy It Now” or “Auction” style listing that was actually successfully concluded. This does NOT mean unsold figurines. Another option would be to look at the figurines available with a reputable online dealer, like Crystal Exchange America. They focus on secondary market sales of retired Swarovski, but do indeed have some current figurines at discounted prices. If looking at their prices, remember, these are available prices, not sold statistics. So, to be conservative, you may want to assume that they are selling at 10% less (not because the company is discounting, but because the cheapest ones sell, and the sold ones disappear from the web site when they are no longer available). Using these two references and doing some mathematical averaging, you can roughly determine true trading prices. Fees to use PayPal, which is practically required by eBay, around 3% or 4%. Using eBay is more of an effort to use for the seller, but is indeed a logical option to get world-wide exposure selling a Swarovski crystal figurine. In our example of selling a figurine for $500, if the crystal owner would sell the figurine on eBay, the seller would obtain about $425 (using an estimate of 15% for overhead to cover listing fees, FVF, and PayPal fees). So, one can see that the frequent question “What is the Value of my Swarovski Crystal Figurine (or collection)?” does not have an easy answer. And the answer that goes with it is definitely a function of how the individual wants to use the term “value”. Acronyms continue to be the norm is today’s fast-past environment and abbreviated language used in texting in other situation with writing constraints. In online auctions, due to the limitation of characters in item titles, it is very common to see abbreviations used in the titles. While the majority of Swarovski collectors understand the acronyms, I’m sure there are still a lot of inexperienced bidders (aka newbies) on the scene. I have also seen acronyms misused in titles, so I thought I’d do my best to explain the acronyms, provide history, and offer cautions on the use of them. Swarovski MIB – Swarovski Mint in Box. This means that the Swarovski figurine is in original factory condition complete with Swarovski Box. MINT implies free of damage. However, this gets a bit trickier on the very old candleholders (and other figurines) where it is fairly common to see “pin pricks”, rough edges, or on large items where it is not unusual to see bubbles. While these “pin pricks”, rough edges and bubbles still passed Swarovski’s standards of perfection to ship product to the retail stores, some crystal collectors will not accept these characteristics in a figurine described as MINT Swarovski. Also, the box should be the CORRECT box for the figurine. This is easiest to discern when the Swarovski product identification label is still attached to the Swarovski cylinder or Swarovski box. The box included should NOT be ‘just any’ box with the Swarovski logo on it. Swarovski NIB – Swarovski New in Box. Swarovski BNIB – Swarovski Brand New in Box. I don’t feel there is any significant difference in item descriptions for items that are NIB or BNIB. I do question that if an item is retired, should it really be described as a NIB Swarovski figurine or BNIB Swarovski figurine? When I think of NEW, I don’t think of pre-owned, retired, or previously displayed crystal figurine. I think of a current product or new release coming from a store or online retailer. I’d bet that a lot of sellers would disagree with this perception, but what about the buyers? Again, that’s just my opinion. Swarovski NRFB – Swarovski Never Removed from Box. I personally have never cared for this description for a Swarovski crystal figurine. Can the owner REALLY say that the figurine has never removed it from the box? They don’t honestly know whether or not their retailer displayed it. Or if it was purchased on the secondary market what the previous owner did with it. If it is a NRFB Swarovski figurine….was it ever inspected to know if it was in Mint condition at the store prior to purchase? And if it were inspected, does the description NFRB still apply since it would have to be removed from the box for the inspection? It is my professional opinion, that I’d rather know the item is MIB than NRFB. Beginning several years ago and still used at present, I see ads stating Swarovski NMIB (yes, one that I have not covered). Reading the description from the original ad, I learned the seller was shortening ‘Nearly Mint in Box’. Nearly Mint? REALLY….Nearly Mint means NOT MINT. It means there is damage somewhere on the figurine. The seller may mean minor damage, but any damage is significant damage when it comes to Swarovski Value. It may be minor if the collector is displaying it and the cosmetic damage does not bother the owner when looking at it. Or to the seller, it may be minor since the hopes are that it will sell at the highest possible price. So bidders should carefully consider if they wish to purchase a NMIB Swarovski figurine, or spend extra money to purchase a MIB Swarovski figurine. None of the acronyms Swarovski MIB, Swarovski NIB, Swarovski BNIB, or Swarovski NRFB imply inclusion of the Swarovski COA (aka Swarovski Certificate of Authenticity). Also, none of them imply anything about condition of the box…they all focus on the crystal inside the box. Some buyers feel more comfortable with unbiased professionals doing the inspection rather than a seller’s description of an item they are attempting to get rid of or possible make money on, especially if the crystal figurine is a high-dollar figurine. In this case, crystal collectors may inquire about professional brokerage services like those offered by Crystal Exchange America. However, some collectors like the excitement of bidding in auctions or taking a chance on a bargain. In conclusion, I feel that the buyer should thoroughly read auction descriptions and ask questions if there might be conflicting information. When the transaction is completed the buyer needs to be satisfied with the crystal condition and price paid. 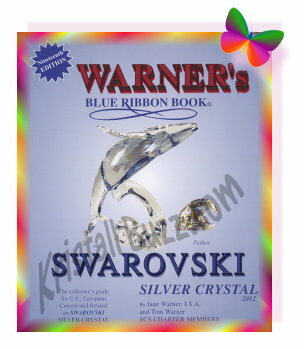 I have good news for Swarovski collectors…..the Warner’s Blue Ribbon Book on Swarovski Silver Crystal Swarovski book is now available! This Swarovski book is in its 19th year of publication. The book authors, Tom and Jane Warner, are serious Swarovski collectors and update / re-publish the set of Swarovski books each year. The Swarovski Silver Crystal book contains photos with detailed information about Swarovski SCS crystal figurines and Silver Crystal figurine releases (as well as product variations on them) for the past 35 years! That’s approximately 1300 Swarovski Crystal collectibles in the Silver Crystal Book. 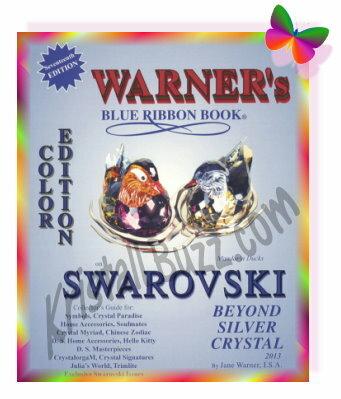 Warner's Blue Ribbon Book on Swarovski, 2012 Ed. Research for the 2012 Swarovski book was performed just 2 months ago in January 2012, so the calculated Swarovski ERV values for the retired Swarovski figurines for the 2012 edition is hot off the press. 2012 Swarovski Crystal Catalogue is Hot off the Press! I have terrific news for Swarovski crystal collectors…..the Warner’s Blue Ribbon Book on Swarovski: Beyond Silver Crystal Swarovski catalogue is now available! This Swarovski catalogue is in its 16th year of publication. Tom and Jane Warner, the book authors, are true Swarovski collectors and annually publish new Swarovski books each year. The Swarovski Beyond Silver Crystal catalogue contains Swarovski pictures and detailed information about Swarovski crystal figurines across many company product lines for the past 35 years! Photos in the book, together with dimensions and other facts that allow for accurate Swarovski identification to best insure a Swarovski collection. The Swarovski product lines or groupings include in the Beyond Silver Crystal book are: Swarovski Crystal Moments, Swarovski Myriad, Swarovski Chinese Zodiacs, Swarovski Soulmates, Swarovski Hello Kitty, Swarovski Home Accessories, Daniel Swarovski Home Accessories, Daniel Swarovski Masterpiece, Julia’s World, Perfumes, Paperweights, Swarovski Trimlite, Swarovski Crystal Signatures, Swarovski Christmas Memories, Crystal Scents, Swarovski CrystalograMs, Arribas Creations, and Swarovski Paradise. That’s nearly 1700 Swarovski Crystal items in the Beyond Silver Crystal Book. Since the Swarovski Lovlots are in s in the other crystal book written by the Warner’s, this means that they are no longer in the Beyond Silver Crystal Book. Research for 2011 Swarovski ERV was executed in January 2012, so the determined Swarovski Value for the retired Swarovski figurines for the 2012 edition is based on recent data. Swarovski collectors who have never purchased the book can find contact information for the authors at the Warner’s Blue Ribbon Book website www.wbrb.com (on the About Us tab) to determine which book is best for the collector or if the collectors should purchase the complete book set. 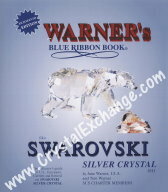 For true Swarovski collectors who know exactly what they need, the Warner’s Blue Ribbon Book on Swarovski: Beyond Silver Crystal, can be placed at Warner’s website or www.crystalexchange.com/c-PUB.html. Ever wanted to know more about early Swarovski crystal released? Seeking Swarovski pictures, release and retirement dates? The Swarovski Wall of Fame, right on the Swarovski web site, may be insightful to any Swarovski crystal collector. To begin with, the Swarovski Wall of Fame is organized by the ‘year of introduction’. The first year of any Swarovski crystal figurine documented in the Wall of Fame is 1976, and naturally, all years through 2011 have an entry in the Wall of Fame. In 1976, the inaugural year of the Silver Crystal product line, the majority of the Swarovski figurines were candleholders, mouse (2 sizes), hedgehog, (2 sizes), and several paperweights. Swarovski crystal figurines included in the Wall of Fame detail: Swarovski figurine name, year of introduction, year of retirement, Swarovski part number or system number (not both), and Swarovski Designer. Product sizes / dimensions are not included. Candleholder names (associating a particular candleholder to a Swarovski part number) are not included for early releases. So what else should you know about the Swarovski Wall of Fame? USA only issues will not be found here…for example, the Gold Bee, or the King Hedgehog. The various colors of Swarovski paperweights are not found, only the shape. Variations of figurines are also not documented, i.e. the different tail styles of the Large Cat. Swarovski SCS members have 2 more added benefits to using the Wall of Fame. SCS members can also keep a virtual inventory of their personal collection. When using this feature, collectors may add pieces to any of 5 configurable collections. The platform allows collectors to save the purchase price and 100-character note with the figurine information. The platform does not allow for duplicates (i.e. you want to add 2 Swarovski Charming Mos), so that is something that could be included in the note field. SCS members have the ability to print their collection(s). The printed collection includes a figurine photo, name, years available, identification number, collection name assigned to it, acquisition price, and any personal note for the item. Other internet resources that include Swarovski crystal figurine details include RetiredSwarovski.com and WBRBOnline.com. RetiredSwarovski.com includes many products lines (not just the Silver Crystal and Christmas Ornament lines like the Wall of Fame). The fact sheets on the site are FREE and printable. Swarovski Crystal product information on the free fact sheet includes: Swarovski Name, Swarovski Part Number and System Number, Swarovski Designer, Year Introduced, Year Retired, and a small photo of the Swarovski figurine. RetiredSwarovski.com does not feature current products…only Swarovski crystal that is retiring soon or has retired. It also does not have any features to allow personal collections to be saved. WBRBOnline.com has many products across all product lines, over 2800 as of May, 2011. It includes current and retired products. It also includes USA only Swarovski figurines and variations of figurines. The FREE data included in the Swarovski crystal product search are: Name, Part Number, System Number, Swarovski Designer, Status (Current or Retired), and Theme Group. A subscription to the Swarovski Database is required in order to view the crystal dimensions, year introduced, year retired, original MSR price, Swarovski Value (ERV), Swarovski Logo, brief description, and Swarovski Photo. It also does not have any features to allow personal collections to be saved. All these resources will be helpful to Swarovski crystal collectors looking for information on figurines produced 1976 through present. Happy Swarovski crystal collecting! The Swarovski Database by Warner’s Blue Ribbon Books on Swarovski has been fully updated to correspond to their 2011 publications: Warner’s Blue Ribbon Book on Swarovski Silver Crystal and Warner’s Blue Ribbon Book: Beyond Silver Crystal. For 2011, there are over 150 new products and Swarovski pictures added since the 2010 database updates. Warner’s Blue Ribbon Books on Swarovski completed their research for their 2011 printed Swarovski books in January 2011, so the 2011 Swarovski ERVs are current. The Swarovski Database encompasses both publications by the Warner’s. The database has over 2900 Swarovski figurines which can be accessed for FREE. The free queries have limited information for the items in the database. To have complete access viewing Swarovski pictures and replacement Swarovski Value(ERV), users must purchase a subscription to the database and it encompasses all figurines in both Swarovski publications. The subscriptions are very convenient, in that Swarovski crystal pictures and statistics are available 24/7 at a collector’s fingertips, at home or anywhere in the world where internet access is available. The database at the site can be viewed via iPad, laptop, or computer at home. 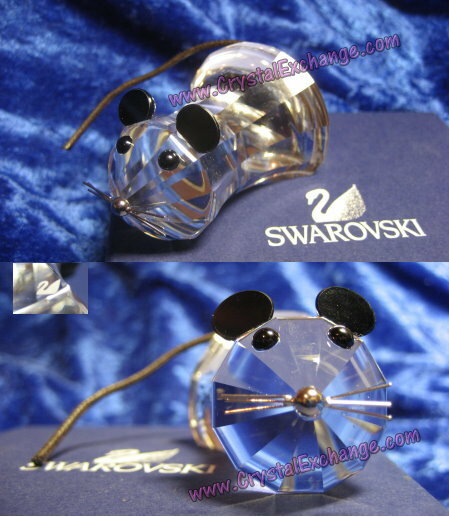 Crystal Exchange America has a very joyous couple of clients who recently purchased a rare Swarovski Mouse. This crystal mouse is a very special figurine that was never sold or marketed by Swarovski. This particular Swarovski mouse is like no others that I have ever seen. At the onset of the transaction, the selling client stated that less than 1000 were produced and that it was a gift to some retailers. The selling client was located in the European community. So, it sound like it may be a piece of rare Swarovski? During the sale, I learned that less than 400 were actually made in 2006. It does contain the Swarovski swan logo, but because the mouse was a special family member project, it was never assigned an official Swarovski part number or system number. The mouse is just over 2.5″ long, and features silver whiskers and black ears. The black tail is about 3″ long and resembles a round shoe lace. The crystal body reminds me of a bell shape. It is 1.75″ wide and 1.25″ high at the broadest point. The face and back end are polished, not faceted like most Swarovski figurines. This rare Swarovski figurine is documented in the 2011 edition of Warner’s Blue Ribbon Books. It is in the Silver Crystal Book, located in the Employee chapter. No Swarovski Value was assigned to the figurine in the book. This was a terrific find and the Swarovski fanatics who made the purchase are very happy collectors. I’m thrilled that Crystal Exchange America was able to assist in the transaction to make all parties involved satisfied clients. 2011 Swarovski Crystal Book is hot off the press! I have good news for Swarovski collectors…..the Warner’s Blue Ribbon Book on Swarovski: Beyond Silver Crystal Swarovski catalog is now available! This Swarovski catalog is in its 15th year of publication. Tom and Jane Warner, the book authors, are true Swarovski collectors and annually publish new Swarovski books each year. The Swarovski Beyond Silver Crystal catalog contains Swarovski pictures and detailed information about Swarovski crystal figurines across many company product lines for the past 35 years! It is the photos in the book, along with dimensions and other facts that allow for accurate Swarovski identification to properly insure a Swarovski collection. The Swarovski product lines or groupings include in the Beyond Silver Crystal book are: Swarovski Crystal Moments, Swarovski Myriad, Swarovski Chinese Zodiacs, Swarovski Soulmates, Swarovski Home Accessories, Daniel Swarovski Home Accessories, Daniel Swarovski Masterpiece, Julia’s World, Perfumes, Paperweights, Swarovski Trimlite, Swarovski Crystal Signatures, Swarovski Christmas Memories, Crystal Scents, Swarovski CrystalograMs, Arribas Creations, and Swarovski Paradise. That’s nearly 1700 Swarovski Crystal items in the Beyond Silver Crystal Book. For the 2011 Swarovski catalog, approximately 75 new crystal figurines have been added from the 2010 edition. Approximately 35 retirements are now newly retired from the 2010 edition. Investigation for 2011 Swarovski ERV was completed in January 2011, so the determined Swarovski Value for the retired Swarovski figurines for the 2011 edition is fresh. Swarovski collectors who have never purchased the book can find contact information for the authors at the Warner’s Blue Ribbon Book web site http://www.wbrb.com/ (on the About Us tab) to determine which book is best for the collector or if the collectors should purchase the complete book set. 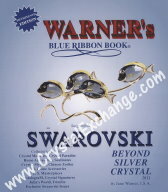 For loyal Swarovski collections who know exactly what they need, the Warner’s Blue Ribbon Book on Swarovski: Beyond Silver Crystal, can be placed at Warner’s web site or http://www.crystalexchange.com/c-PUB.html. I have good news for Swarovski collectors…..the Warner’s Blue Ribbon Book on Swarovski Silver Crystal Swarovski catalogue is now available! This Swarovski catalogue is in its 18th year of publication. Tom and Jane Warner, the book authors, are true Swarovski collectors and annually publish new Swarovski books each year. The Swarovski silver crystal catalogue contains photos and detailed information about Swarovski SCS crystal figurines and Silver Crystal product releases (as well as product variations on those releases) for the past 35 years! That’s nearly 1300 Swarovski Crystal items in the Silver Crystal Book. For the 2011 Swarovski catalogue, there are approximately 50 new crystal figurines from the 2010 edition. There are approximately 50 retirements from the 2010 edition. Research for the 2011 Swarovski catalogue was performed in January 2011, so the determined Swarovski ERV values for the retired Swarovski figurines for the 2011 edition is hot off the press. Here are more acronyms used in advertising Swarovski crystal that is offered for sale. While the many experienced Swarovski Crystal collectors understand the frequently used acronyms, there are still a lot of people buying and selling Swarovski who do not have knowledge of the acronyms or can be mislead by improper use of the acronym. So, I thought I’d do my best to cover a few more acronyms and offer cautions on the use of them. Swarovski CRV – Swarovski Current Replacement Value. The term CRV was used in Dean Genth’s Swarovski book in 2004. I have not seen it used in publications since. The basis of his research was not disclosed in the book. Auction sellers using CRV in an auction may be using very dated values. Swarovski ERV – Swarovski Estimated Replacement Value. Swarovski ERV originated in a reputable Swarovski Book, Warner’s Blue Ribbon Books on Swarovski. The intended definition and use of the term today is ‘Swarovski value for insurance purposes’. Swarovski ERV is a recommendation for insurance value based on professional research performed in the past 12 months. If a Swarovski collector damages or has a figurine stolen, it is likely that the collector can replace the figurine with a MINT one at a cost of the Swarovski ERV or slightly less. So many times Swarovski ERV is mis-used in the online auctions. Sellers may not honestly know what the acronym ERV stands for because they have not read the Warner’s Blue Ribbon Book preface. Or perhaps, their auction data was based on another erroneous auction description. Or, perhaps, the seller has simply manipulated the acronym to imply Estimated Retail Value, thus inflating the value of the crystal figurine for less knowledgeable bidders. No matter what the case, the important fact to realize is that Swarovski ERV is an insurance value, not a selling value. 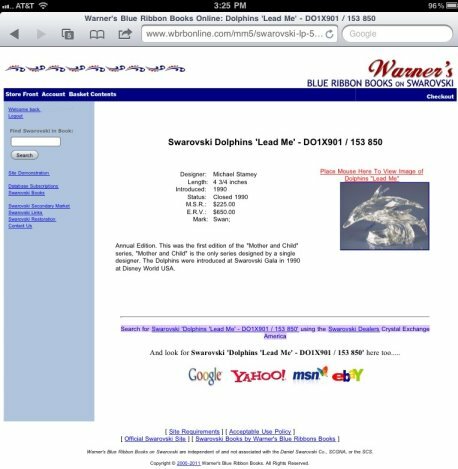 No seller should ever expect a Swarovski figurine to sell for a price near the Swarovski ERV. If the item is sold using a professional brokerage service, the seller will not be able to collect the Swarovski ERV when a transaction for the Swarovski crystal collectible is completed, since ERV is a suggested insurance value, not a selling price. Another way the Swarovski ERV is mis-used is when a seller cites an outdated ERV in the auction. It is a natural assumption that a Swarovski value increases over the years. For many years this was true, but this has not been the case in recent years. So when an auction seller quotes an ERV from 2005 and then states that the value is on the rise, this is sort of like a trap to a less knowledgeable buyer. Sadly, in all likelihood, the 2011 ERV is less than the 2005 ERV. In conclusion, Swarovski Value can have a number of defininitions….selling price, insurance replacement value, or a sentimental value. Be careful not to get caught up with a seller’s version of value when the term Swarovski ERV or Swarovski CRV is used in the auction description. Thoroughly review the auction description. Do research when deciding your maximum price: check recently sold items and brokerage sites. Know the seller’s return policy. When the transaction is over, the buyer should be happy with outcome. Recently, I learned that you can view the Swarovski Database of Crystal by Warner’s Blue Ribbon Books on the iPad! 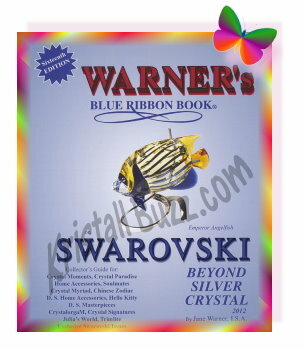 Warner’s Blue Ribbon Books on Swarovski Crystal has been publishing books on Swarovski figurines since 1994. In 2000, they put their Swarovski Database online at http://www.wbrbonline.com/ and incorporated it into a subscription-based service that allows Swarovski Crystal collector users to run queries to access the same information as their printed books at virtually half the cost. Subscribers can view Swarovski Name, Swarovski Part Number, Swarovski System Number, Swarovski Designer, MSRP, ERV (better known as the Swarovski Value for insurance purposes), dimensions, Swarovski Introduction Date, Status (year retired or current), which Swarovski Logos are on the figurine, and a paragraph of information on the crystal piece. Within the past month, Warner’s Blue Ribbon Books has put their online subscription services to the test on one of the newest computing platforms available….the Apple iPad. The web site passed with flying colors. Users found the WBRBOnline subscription service to the Swarovski database to be easy to use and easy to view. Using the iPad to view the database of 2800+ Swarovski figurines was just like using the computer, but the benefits of having the iPad meant that the Swarovski database is available for use anywhere there is an internet connection! I would imagine that the same may hold true for ‘smart phones’, but do think that the smaller screens on phones could provide challenges with reading the smaller text. This is great news for Swarovski crystal fanatics who may have gotten the Apple iPad for Christmas. If not, perhaps this new information is enough to justify purchasing a new toy….the Apple iPad.